El Hierro is the smallest of Spain's Canary Islands and is showcasing the possibilities of renewing energy by putting them on display. 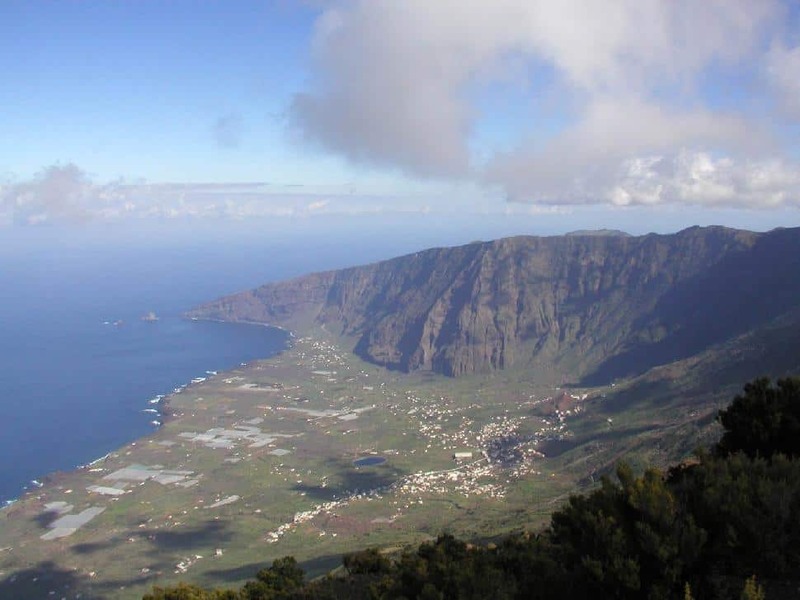 El Hierro is set to become the first landmass in the world that is fully energy self-sufficient when its 11.5 megawatt wind farm goes online later this month. With only a small population of a little over 10,000 people, there is not much to power on El Hierro. In fact, a water turbine has taken care of much of the island electricity needs; however there are still some homes that go without. The island has no connection to the outside electricity network, so becoming self-sustaining was really their only option. With the addition of this new wind farm, it will give everyone on the island ample access to electricity and make El Hierro the first island to secure a steady supply of electricity by combining wind and water power. These new wind turbines will produce enough power not only to satisfy the residential needs of the island but will also serve to power the island's desalination plants. Surplus power is set to be used to pump in fresh water from a reservoir nearby the harbor to a larger reservoir located in a volcanic crater approximately 2,300 feet above sea level. This volcanic crater reservoir is larger than the one by the harbour and having the electricity to see it filled will give the island a steady supply of fresh water. However, transferring this water also serves another purpose. When there is little or no wind, the water will be transferred down to the lower reservoir to fuel the water turbine to generate electricity. This ensures a steady supply of electricity no matter what the weather is like. This wind power plant will cost the island government approximately $110 million dollars to fund with generous grants from Spain as connecting the island to off-shore electrical networks would be far more expensive.